Very Good. 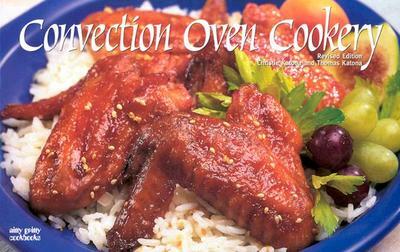 Convection Oven Cookery (Nitty Gritty Cookbooks-Kitchen Electrics) by Katona, Thomas, 2001-04-01. Trade paperback (US). Glued binding. 155 p. Nitty Gritty Cookbooks - Kitchen Electrics. the breads are wonderful and brunch recipes this book got me excited obout convection cooking ! the meatloaf recipe was a real favorite. i like the size @ content. easy to take with you and something for all.now i need to go make poppy seed onion loaf but more ,how about dessert , you could get addicted to hummingbird cake and pumpkin dessert .so let,s get cooking the convection way! enjoy yourself.